Along with many other artificial substances used to stimulate the mind the body, caffeine is something that is relied upon by countless people as a form of assistance when tired, stressed or throughout the normal working day. Caffeine is a chemical compound found in many products that can be extracted from natural products are made into a stimulant drug. It can be consumed by humans in its natural state once the product such as the coffee bean has been harvested or can be extracted and formed into a tablet that can be taken as a supplement. It is an alkaloid substance that is obtain from a wide variety of plants and leaves and acts as a psychoactive matter that acts on the central nervous system in the body and alters brain function. It primarily acts on the neurotransmitters in the brain that are responsible for passing messages between the nerve cells, therefore it can speed up reactions and increase alertness. Natural sources of caffeine include the coffee bean, tea leaf and to a slightly less extent, the cocoa bean. It can be found in freeze dried coffee and chocolate and to some degree in soft drinks especially those that are cola based with ingredients derived from the Kola nut. Because of the effects of caffeine, it is commonly being added to some energy drinks and products such as gum, and is marketed as a method of becoming more alert and less tired.It is now commonly available in tablet form, though being marketed under different brand names in a variety of doses. It can be tempting to take lots of these tablets and rely on them on a daily basis but the long term effects on health may dissuade users from this practice.Caution must be exercised in the presence of children and pregnant women, or those with sensitivity to caffeine. Side-Effects Of Too Much Caffeine. As with any type of drug or stimulant, too much can be hazardous to health. Side-effects can include restlessness, sleeplessness, irritability and headaches.Caffeine is also known to have a diuretic effect causing frequent urination. These fluids should be replaced with plain water in order to maintain a healthy body and prevent dehydration. 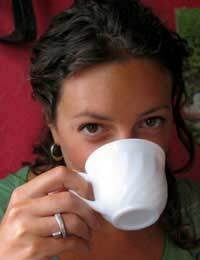 Long term caffeine use has also been linked to a higher incidence of osteoporosis as it can increase the likelihood of bones becoming less dense.Long term use of caffeine can result in a form of dependence as the body becomes tolerant of its effects and over time, higher doses will be needed to produce the same level of effect. As caffeine alters the function of several of the brain’s chemicals, withdrawal can produce some nasty effects as the body begins to get used to caffeine not being present in the system. How Is Caffeine Used As An Enhancer? Caffeine is commonly used as a performance enhancer in everyday life. There are many people who feel they have to have a strong cup of coffee first thing in the morning in order to start the day and motivate themselves; this is extremely common. Some parties argue that this dependence on ‘false’ energy and stimulation is ethically and morally wrong and no different than athletes and such taking artificial substances in order to perform better, but because coffee and tea are legal forms of caffeine people generally find it acceptable to have this type of reliance.There may be some strong argument in this opinion, but as the law stands, there is nothing wrong with drinking too much coffee even though it may carry some risks and detriment to health over time.Aside from relieving tiredness, increasing concentration and improving reactions, initial studies on the effects of caffeine on muscle strength show results that it can also improve the overall strength on muscles and keep them stimulated for longer. It is also thought that caffeine may help increase the release of calcium in the muscles which stimulates muscle contraction and allows them to work harder for longer. Caffeine is a legal stimulant that is used by thousands of people every day. Because it is legal, people feel they are justified in using this substance for it’s effects and though this may be true, as with most products, too much can be damaging to health and caffeine users should be fully informed of the issues surrounding its use.